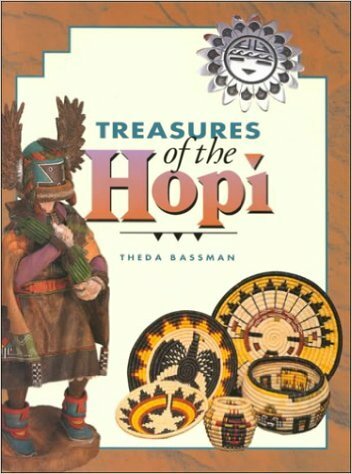 From a recognized authority on the Indian arts and crafts of the Southwest comes a glimpse into the treasures of the Hopi. This book showcases nearly six hundred items, from classics to modern innovations, from the affordable to the rare, in nearly one hundred beautiful color photographs. Complete with sections on jewelry, kachinas, baskets and plaques, pottery, paintings, and new crafts. Theda Bassman’s new book outlines the history of the tribe and its arts, describes how the artists make their wares, and gives you tips on what new collectors should look for. Make Treasures of the Hopi your indispensable companion as you venture into the exciting world of Hopi creations.